Here is the recipe for a tempting welcome drink recipe for a small party. Guests are always expected during our holidays and are very difficult to choose welcome drinks when it is unexpected. We always prefer to make fruit juices or traditional Indian drinks like lassi, butter milk, aam panna which quenches thirst. Most of us will hunt in the kitchen and refrigerator for fruits to make some fresh juices. And most probably there won't be any and some times won't get enough time to prepare...Don't worry...Just check this recipe and it's simple and humble. All we need is a strawberry syrup, strawberry ice cream or vanilla ice cream or chilled milk, and some chopped apple pieces if any. Adding ice cream and apple cubes make this drink more rich and delish. It is the quick and easy summer drink to beat the heat and makes our body cool. 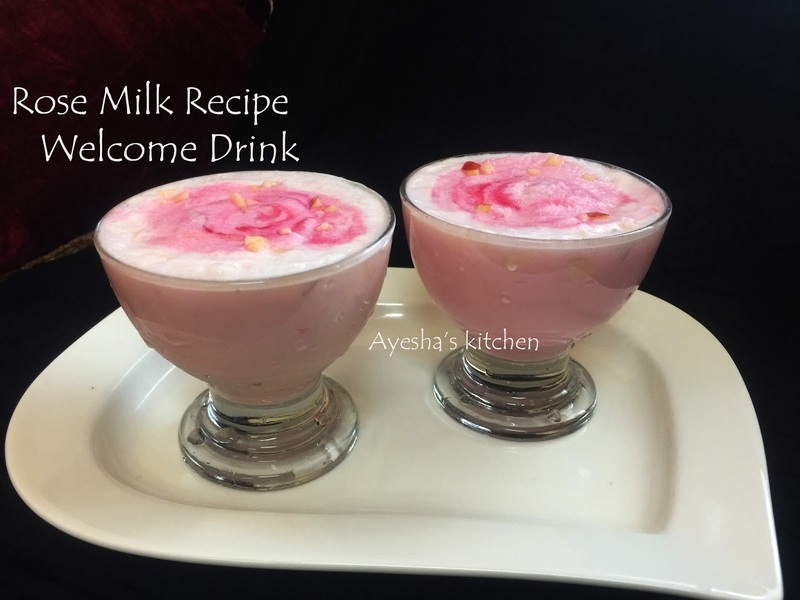 So let's see how to make rose milk at home or for a small party. Blend together strawberry ice cream, milk, and sugar well. When done add the rose syrup or strawberry syrup (only a few drops) to it and blend again for few seconds. Now keep the cup ready and add few tbsp of chopped apple pieces to it. 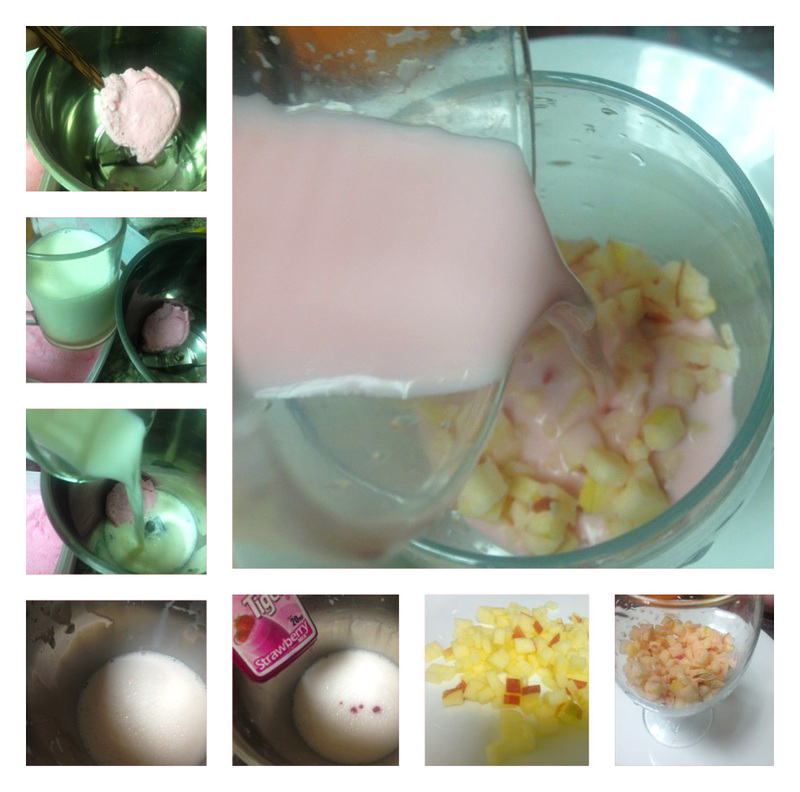 Then pour the prepared rose milk as shown in the pic. Mix well with a spoon. Top it with a drop of strawberry syrup and few apple cubes. 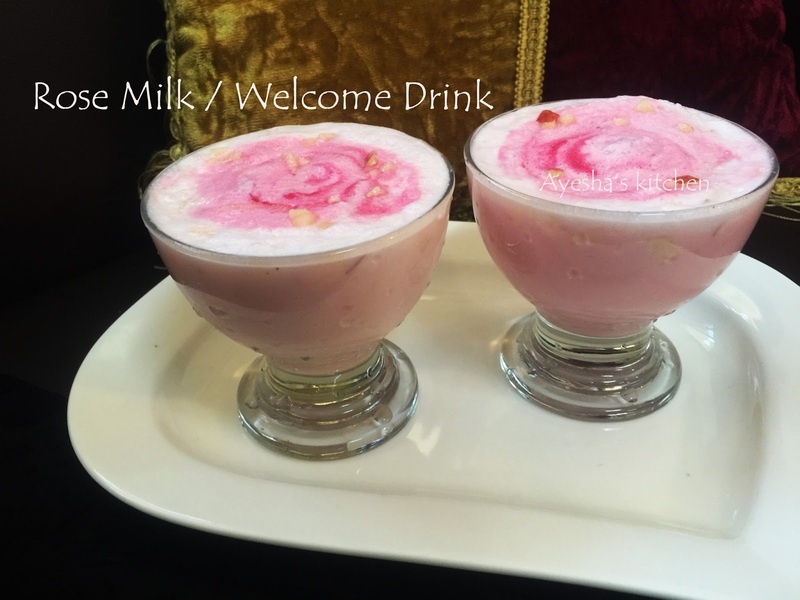 You can serve rose milk immediately or can refrigerate and serve later.